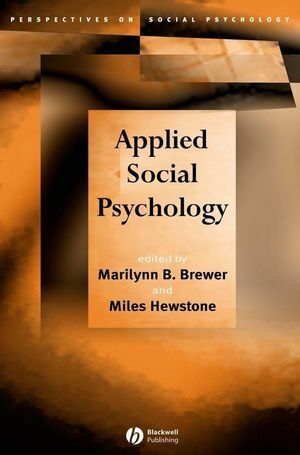 Applied Social Psychology is a collection of readings from the four-volume set of Blackwell Handbooks of Social Psychology that examine the applications of social psychological theory and research in various domains of personal, institutional, and societal well-being. 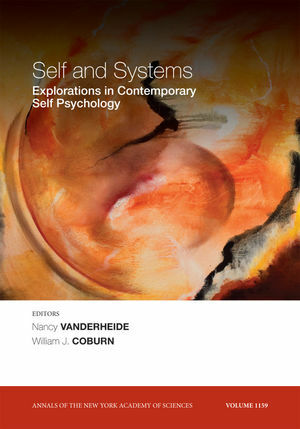 Collects readings from the four-volume set of Blackwell Handbooks of Social Psychology and includes introductions by two world-renowned researchers. Examines the applications of social psychological theory and research in various domains of personal, institutional, and societal well-being. Illustrates how social psychological analyses of individual, interpersonal, and group level processes have contributed to important areas of applied psychology. Marilynn B. Brewer is Professor of Psychology at Ohio State University. Her primary research interests include social cognition, intergroup relations, and social identities and the self concept. She is the author of numerous books and articles, including Intergroup Relations (with Norman Miller, 1996), and has served as President of the American Psychological Association and as editor of the journal Personality and Social Psychology. Miles Hewstone is Professor of Social Psychology at Oxford University. His current research interests include the reduction of intergroup conflict, intergroup contact, and the social influence of majorities and minorities. He is the author of many books and articles, including Introduction to Social Psychology (edited with Wolfgang Stroebe and Geoffrey M. Stephenson, Third Edition 2001). He is founding co-editor of the European Review of Social Psychology. Part I: Mental and Physical Health. 1. Dealing with Adversity: Self-Regulation, Coping, Adaptation, and Health. (Lisa G. Aspinwall). 2. Attachment Style and Affect Regulation: Implications for Coping with Stress and Mental Health. (Mario Mikulincer and Victor Florian). 3. Marital Therapy and Social Psychology: Will We Choose Explicit Partnership or Cryptomnesia? (Steven R.H. Beach and Frank D. Fincham). 4. Therapeutic Groups. (Donelson R. Forsyth). Part II: Law and Politics. 5. Psychology and Law. (Günther Köhnken, Maria Fiedler, and Charlotte Mohlenbeck). 6. Procedural Mechanisms and Jury Behavior. (R. Scott Tindale, Janice Nadler, Andrea Krebel and James H. Davis). 7. The Psychological Determinants of Political Judgment. (Victor C. Ottati). 8. When and How School Desegregation Improves Intergroup Relations. (Janet W. Schofield and Rebecca Eurich-Fulcer). 9. Addressing and Redressing Discrimination: Affirmative Action in Social Psychological Perspective. (Faye J. Crosby, Bernardo M. Ferdman and Blanche R. Wingate). 10. Intergroup Relations and National and International Relations. (Thomas F. Pettigrew). Part III: Business and Organizational Behavior. 11. Consumer Behavior. (Sharon Schavitt and Michaela Wänke). 12. The Death and Rebirth of the Social Psychology of Negotiation. (Max H. Bazerman, Jared R. Curhan, and Don A. Moore). 13. Communication Technologies, the Internet, and Group Research. (Andrea B. Hollingshead). 14. Group Processes in Organizational Contexts. (Joseph E. McGrath and Linda Argote).